As the Christmas party season draws near I always end up going out and drinking more than usual. With more drink, less sleep and the cold weather my skin really dries. So I have to make sure I am extra good with skincare (aswell as drinking lots of water). Tropic Skincare Vitamin Toner – this contains rose water and is really refreshing, it’s good for waking you up. 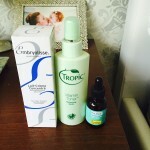 I also use Tropic cleanser before and my skin feels so clean after. Then I apply Balance Active Hyaloronic Youth Serum. This hydrates your skin and locks in the moisture, it doesn’t feel oily or greasy just really smooth. 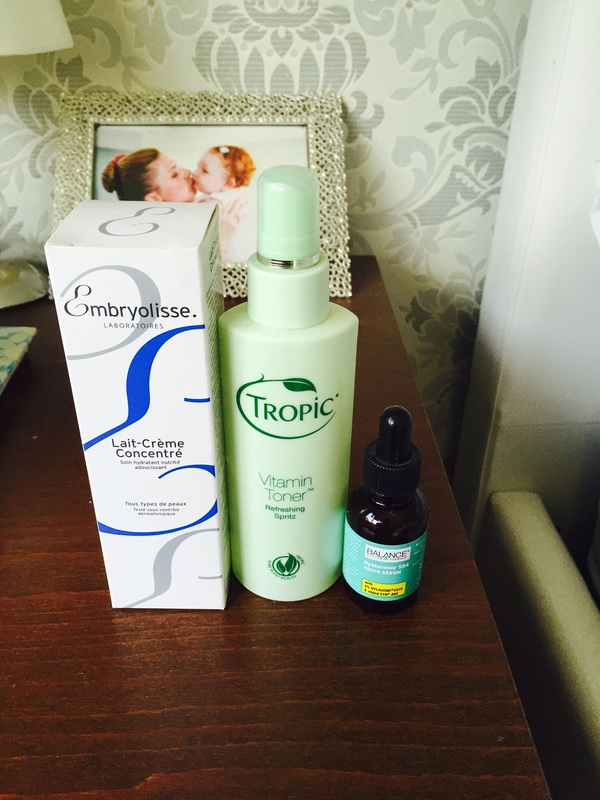 Next I apply a favourite with the Made In Chelsea girls – Embryolisse Lait Creme Concentre. Really work this into the skin and it will stay soft and hydrated all day. It’s also a great primer before foundation and can be used for makeup removal – love it when products have more than one use. Finally I apply an eye cream, I am still trying different brands but so far my favs are Nivea Q10 for night and Laura Mercier Eyedration for daytime. Exfoliate twice a week and this should see your skin through winter. Hope you you have found this useful. Always happy to hear your skincare tips too.